Lynette is represented by Peter McGuigan of the Foundry Literary + Media Agency, NY - Peter is an avid cyclist!
" ... about as gutsy a bargain traveler as they come." "In the glut of Cuba travel books, this one really stands out." "One of the best on-the-road travel books of this generation." "The only time you will put it down is when you finish it." 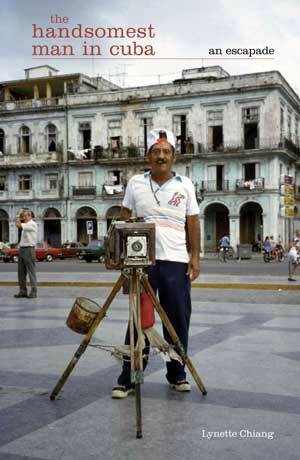 Australian vagabond Chiang's travel memoir on Cuba works on several levels. For American adventure travelers, there is the excitement of traveling to a place your country basically forbids you to go. For solo female travelers, there are the pleasures and horrors (beware of flashers in the city of Cienfuegos) of exploring a place on your own terms. For cyclists, there is perhaps the challenge of bicycling Cuba's long and varied terrain. Although Chiang sees fantastic sites, it is really the people she meets who provide her with her fondest memories. Average Cubans share their daily rations with her, welcome her into their homes or yards (for camping) for days, and basically show her a good time. But it is not all idyllic. Besides being assaulted in Cienfuegos, Chiang falls victim to petty thefts, harassing touts, price gouging, and the general oddness of Cuba's version of tourism separation. Through it all, she keeps her good sense of humor and a positive outlook. Wonderfully literate, entertaining, and insightful; recommended for public libraries. This is a book not just for bikies, not just for tourists, and not just for those with one of the usual axes to grind about Cuba and its regime. This is travel literature at its best. Whether you are a cyclist or not, whether you'd contemplate visiting Cuba or not, The Handsomest Man in Cuba is one of the best travel narratives you'll ever read. -- Rob van der Plas is acquisitions editor and publisher of Cycle Publishing, and himself the author of a handful of bicycle books, covering everything from touring to racing and and from commuting to bicycle technology. The first two wheeled travel adventure I've read in far too long that is more than just a pretty face. By turns, introspective, charming and thoughtful, The Handsomest Man In Cuba packs in what so many travel adventures discard; the emotional landscape of a country and the interior map of the person exploring it. Backpacker travel yarns, for want of a better term, vary hugely in quality, ranging from the banal to the insightful. 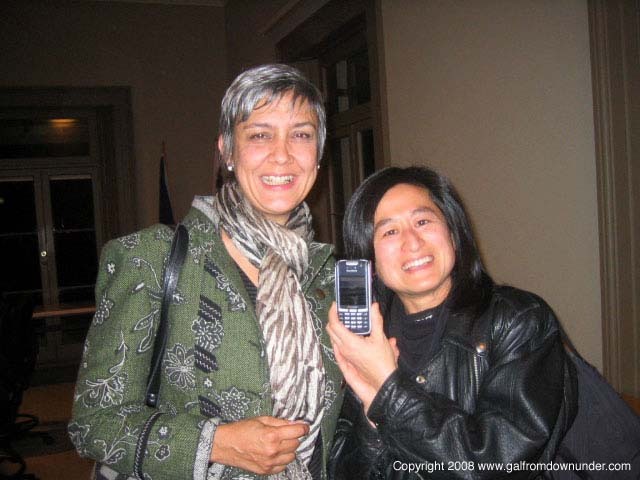 Sydneysider, computer-science graduate and one-time advertising copywriter Lynette Chiang's adventures in Cuba and Central America are very firmly at the insightful end of the scale. They are written without pretension from the vantage point of an astute, but essentially naive, traveller. Chiang (nicknamed "La China" in Cuba) abandons the security of suburban Sydney, buys a "small wheel, folding bicycle" and heads for Havana. 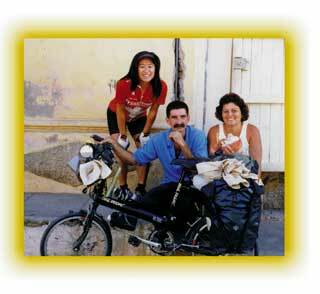 She lives close to ordinary Cubans and, with considerable understanding comes to see them as poor but warm, generous and friendly. Sensibly, she eschews the current post-Bryson vogue of seeing everything in humorous terms and trying to turn every adventure into a stand-up routine. The result is a song of praise for the humanity and simple decency of Cubans. Big fat cigars. Tropicana dancing girls. Mojitos. Hemingway. A guy named Fidel. 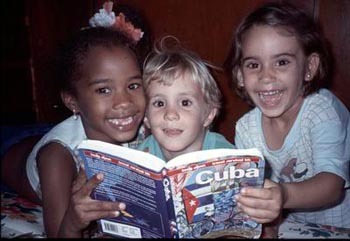 This is not a book about the Cuba you already know. 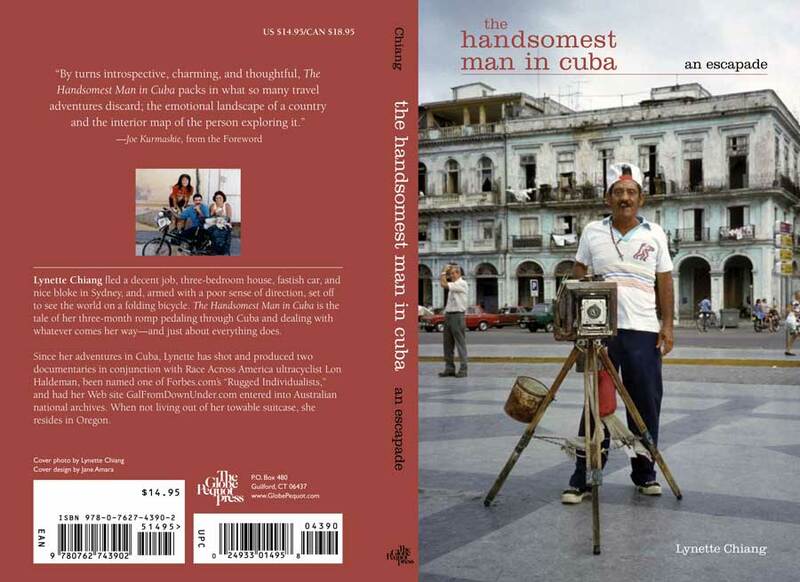 The Handsomest Man in Cuba is an intensely personal, on the road tale of what it is like to eat, drink and be cautiously merry among ordinary and extraordinary Cubans, as told by a lone traveller who can take almost everything that's flung at her - and just about everything is. From pedalling across the country on a small folding bicycle, voyaging to Trinidad with the world's worst sailor, fighting off feet-eating mosquitoes and males with mucho calor (loosely translated as a lotta hotta testosterone) and adapting to a country that hits the pause button for precisely one hour every day for a syrupy soap opera, Lynette Chiang unveils a wild and crazy land that embraces life, a little food, a lot of love, a huge family - and her. La China as the Cubans call her, discovers a people who earn as little as $10 a month, yet refuse to accept money for help, arguing that friendship is better. Who are rationed one bread roll a person per day, but insist she take their share 'for energy'. Who might have to choose between a bottle of shampoo or food in any given month, yet who seem strangely more at peace with themselves than the average wealthy foreigner. This is not just a story about Cuba, but about what people were like just before the world started spinning too fast to jump off. Some people I visited that you might like to visit too Some people have visited these folks and shown them a copy of this book! Take them bike parts, guitar strings, watch batteries, vitamins, aspirin, tools. And if you manage to run into Roberto, the Handsomest Man in Cuba, take a picture of him for me - unfortunately my camera broke. Update June 2009: Someone did! The Life and Times of Taam Sze Pui, (see online bio of Tom See Poy), a few pages from my gold-panning great grandad's personal memoir, circa 1925, Cooktown, North Queensland. He left his village in China 1877. A photocopy was made available to students at ANU Dept of History, 1978. 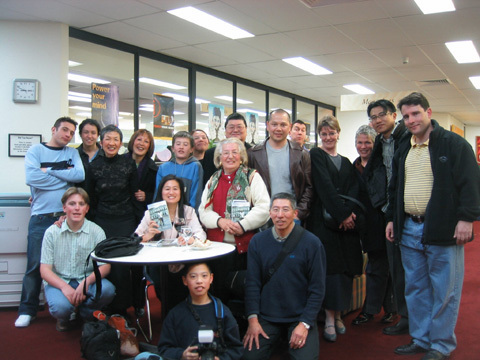 Venue: Lynette Chiang will be speaking at Mosman Library in conjunction with Pages and Pages Booksellers. Mosman Square, Military Rd, Mosman. CANBERRA - thanks to Rob Hurle and Tom Worthington for organizing this one! Peter's of Kensington on Anzac Parade Kensington. This is where my mother Irene Chiang works. Look for the Chinese woman with a broad Aussie accent in the Alessi section. She will sell you my book. Be warned! areas of WA except Perth. 10:00am - Life Matters, ABC Radio National. Lynette with Ivan and Mirella in Trinidad (see Chapter "Long enough in Trinidad") Lynette with the Random House Team in Sydney. 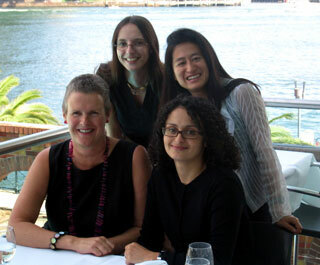 Front: Fiona Henderson, Head of Publishing (Bantam Doubleday), Lisa Bardetta (Marketing Strategist); back: Penny Page, Media Strategist.